"The future of search is that the box you've come to know and love...won't be the constraining factor. Literally everywhere you go, every device you have, everything you touch will conduct a search, whether you know it or not." That will make the work of webmaster a little harder. For Weitz, within 10 years the search box will have gone. The Web will no longer be a collection of page but will become a representation of the real world in a digital format. Weitz's vision is an aspect of augmented reality, which requires consultation of a database to provide information to what shows the mobile. For Eric Schmidt, former CEO of Google, the future is simple: a search engine will just give a precise answer, whatever the issue. It seems that this ambition was taken over by the many question-answer sites that proliferate, and old search engines like Ask, transformed into a site like this. He sees the future of research in direct connection to your brain! By this he mean knowing exactly what happens in your head, what you think, what you want. What is important is to move from words to meaning. So as said Marissa Meyer, to go beyond keywords. Google must better understand the issues to better provide the answer. The goal of Google's within 10 years ahead is to provide an answer that is exactly what you want to know. For Marissa Mayer, former Vice President of Research at Google and then CEO of Yahoo!, another search engine, the most useful is that the request will be translated into all languages ​​and is answered in all the pages regardless of their language. "We think it's really important to move beyond just keywords and allow people to ask questions, and maybe access things more easily from their mobile phone." Beyond the current search, there is also the incorporation of new media: books, videos, news. In the next 10 years, we'll see new ways of doing searches: with voice recognition, natural language, images or sounds. Among multiple other ways. The interface will probably be revised to deal with all the new media. Customization is also another trend to develop. The engine will search for answers based on what it knows about you so that the response is close to your own interests. She also envisages an intuitive search engine that presents results even before you have made ​​the request. For a more effective result, it is necessary that the engine knows you better. With personal information (transparent to the user and that you control), the engine will respond much better to what you expect. The engine of the future will know where you live, what you know, what are your preferences. The location is very important in the questions we pose, as there are answers that are more specific to your region. On the vision of Marissa Meyer, we have seen the beginnings with a +1 button to encourage social research, so depending on what you love and your relationships, and instant search results where the page changes while you type a query. Remains whether the vision of Weitz will materialize also. Google wants to get an understanding of the content pages and go beyond primary identification of keywords. 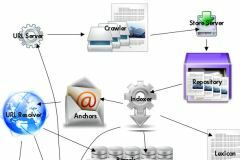 After acquiring the site Freebase, a knowledge engine built collaboratively by users, it has been widely developed content provided by the site. 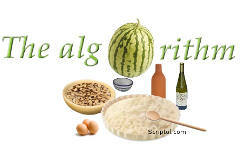 And is currently building the infrastructure for a new search engine based on knowledge. And knowledge is constructed through relationships between objects. For example when the word Paris is for the city, it is connected to many monuments, people. But it may be a synonym as and it will link to something else. The goal is to understand what represents a word in a page and that asks the user in the request to provide results perfectly relevant. Content of sites will it be transferred to results pages? The screenshot below is a result page from the Google's experimental engine wdyl, launched in June 2011. 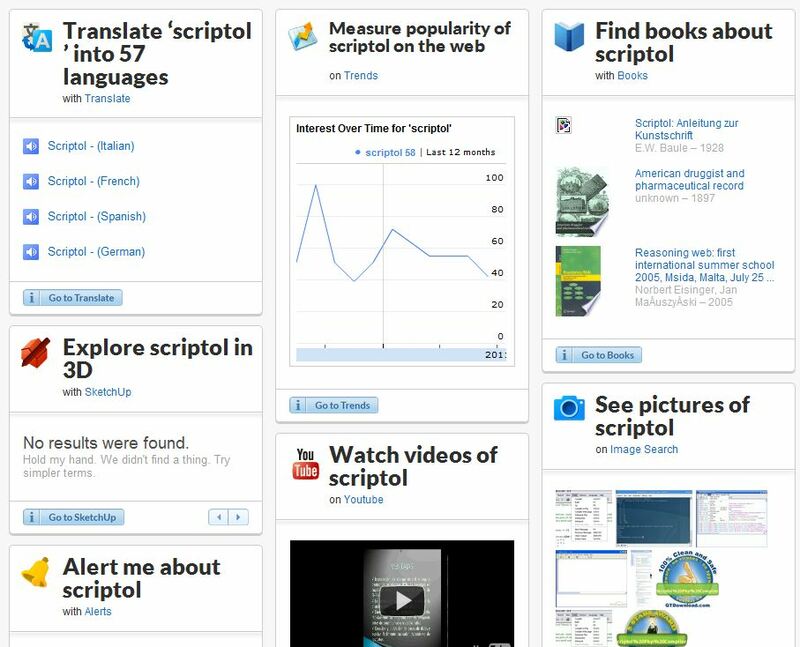 Its purpose is to present different types of results for a query, in this case the word "Scriptol". As we can see, it goes beyond a list of sites and is almost an encyclopedic article on the topic. This idea seems worry about Google because tests have been conducted in organic search too with a sidebar containing also a kind of encyclopedia articles on the topic of the request, which resembles a Wikipedia page and actually got its content from it. Over time, Google has built a vast database of facts, from all that is said on Web pages. This base is supposed to contain the bulk of the real facts. Google has plans to use the database to classify all websites, regardless of their popularity: the pages that contain false statements (in contradiction with what's in the Knowledge Vault) will be penalyzed! 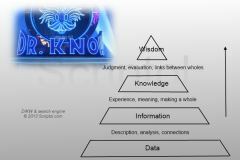 A new score will be established to replace Panda: The Knowledge-based Trust Score. The first consequence we envisage is that sites will optimize with consensual opinion for a better positioning. The end of all disputes. And of any irony! If I write in a page: "Search engines are geniuses, and the Earth is flat. ", I will surely be penalysed. But why exactly? The organization that is also the engine of robotic development, wants to completely change the way we do search on the Web. They launched the program Memex who specialize in particular areas and cover all aspects of documentation, information retrieval, data analysis, presentation of results. It is a fact that the main problem of the current search is in too many situations where a few keywords are not sufficient to define what we need. The term "information retrieval " suggests that we can have detailed answer built from data taken from existing documents. When it becomes an engine of knowledge, what Google is actively working, it will be linked to personal robots and the robots of their business and provide the data that they know the world. It may also serve them to understand human language, what is said to the robot is treated as a request to which he must answer, a command it has to perform. The Google logo was dedicated to the sci-fi writer H.G. Wells. Marissa Meyer in video. About Chrome. Future of search, by Marissa Meyer. Interview of Eric Schmidt. Summary.